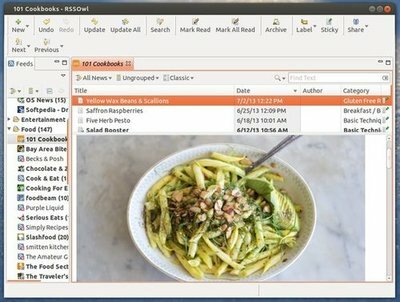 RSSOwl is a reader for RSS, PDF, Atom News. Since Google Reader is no longer running, RSSOwl added the option to synchronize with Google. This simple and brief tutorial will show you how to install the latest RSSOwl on Ubuntu 13.04 Raring, 12.10 Quantal, 12.04 Precise from GetDeb repository. i WANT TO THANK YOU FOR THE PPA, IT SERVED ME VERY WELL, RSSOWL I USE IT AS A SPECIALLICED SEARCH ENGINE, WITHOUT ADs AND TRY TO MAKE HONESTY SEARCHES THAT MAKE US A LITTLE MORE FREE FROM BIG BROTHER. Thanks so much. Worked like a charm for Ubuntu 14.04LTS. Plus, the getdeb repository has some good apps in it. You can check their website for the list.